A selection of all of our United States Air Force related aircraft. A 1:144 scale model of the Lockheed SR-71 Blackbird - A long-range, Mach 3+ strategic reconnaissance which was operated by the United States Air Force and served from 1962 to 1998 - with a total of 32 aircraft built. This model has a wingspan width of 11.5cm and a nose-to-tail length of 23.5cm. PLEASE NOTE: We have temporarily ran out of display stands with the infographics and country flag. All orders of this model will arrive with a blank plastic stand with no engraving. 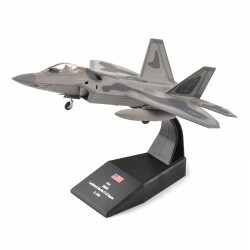 A 1:100 scale model of the famous Lockheed F-22 Raptor - A single-seat, twin-engine, all-weather stealth tactical fighter developed for the United States Air Force - entering service in December 2005. 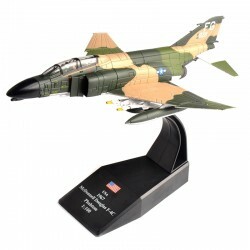 A 1/100 scale model of the McDonnell Douglas F-4 Phantom II - A tandem two-seat, twin-engine, all-weather, long-range supersonic jet interceptor and fighter-bomber originally developed for the United States Navy. 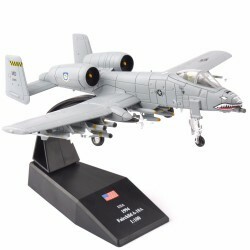 A 1:100 scale model of the Fairchild Republic A-10 Thunderbolt II (Also known as the Warthog or Hog) - A single-seat, twin turbofan engine developed for the United States Air Force, designed for close air support, attacking armored vehicles and tanks along with quick-action support against enemy ground forces. 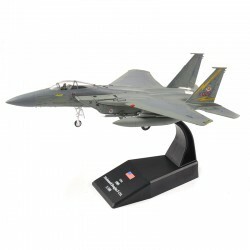 A 1:100 scale model of a US McDonnell Douglas F-15 Eagle - An American twin-engine, all-weather tactical fighter to gain and maintain air supremacy in all aspects of aerial combat. A 1:72 scale model of the Lockheed Martin F-35 Lightning II - A single-seat, single-engine, all-weather stealth multi role fighter designed for ground attack and air-superiority missions. 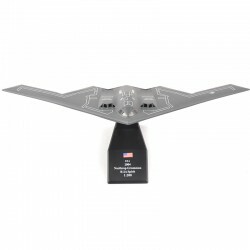 A 1:200 scale model of the famous Northrop Grumman B-2 Spirit, otherwise known as the Stealth Bomber - An American heavy penetration strategic bomber, featuring low observable stealth technology. A 1:144 metal diecast scale model of the Bell Boeing V-22 Osprey - An American tiltrotor military aircraft with both vertical takeoff and landing capabilities. Combining the functionality of a helicopter with the long-range, high-speed performance of a turboprop aircraft. 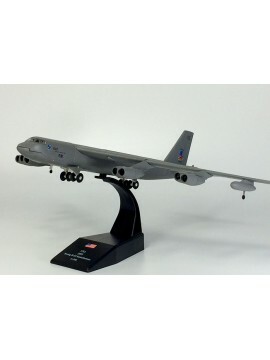 A 1:200 metal diecast scale model of the USAF Boeing B-52 Stratofortress - An American long-range, subsonic, jet-powered strategic bomber. Operated by the United States Air Force since the 1950s. This model has a wingspan width of 28.5cm and a nose-to-tail length of 24.5cm. 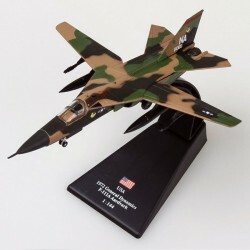 A 1:144 metal diecast scale model of a General Dynamics F-111 Aardvark - A supersonic medium-range interdictor and tactical atttack aircraft, developed in the 1960s and first entered service in 1967 with the United States Air Force. 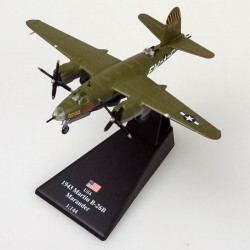 A 1:144 metal diecast scale model of a Martin B-26 Marauder - An American World War II twin-engined medium bomber first used in the Pacific Theater in early 1942, also used in the Mediterranean Theater and in Western Europe. 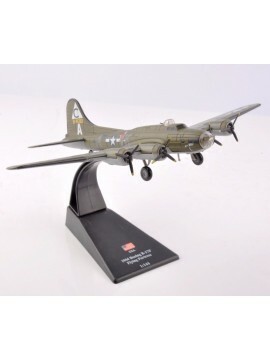 A 1:144 metal diecast scale model of the USA 1944 Boeing B-17F Flying Fortress - A four-engined heavy bomber developed in the 1930s for the United States Army Air Corps (USAAC). This model has a wingspan width of 22cm and a nose-to-tail length of 15.5cm.